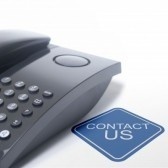 24 Hour Hazmat Emergency Response 800 Number / International Number Answering Service for Hazmat Handlers and Shippers. Hazardous Materials and SDS - MSDS Management along with D.O.T. Training and Compliance. Hazmat 800 number. Each Hazmat Employer Must train, test and certify. the hazmat training is completed within 90 days of employment or change in job function. Is required at least once every three years. The three-year period begins on the actual date of training. Relevant training received from a previous employer or other source may be used to satisfy the requirements, provided a current record of training is obtained from the previous employer or source (i.e., OSHA, EPA, and other Federal or international agencies.) Training must address components specified in 172.704(a) of the HMR to be considered applicable. Certification that the hazmat employee has been trained and tested (supplied – to be signed and dated by employer instructor / safety co-coordinator). The US Department Of Transportation (DOT), Pipeline and Hazardous Materials Safety Administration (PHMSA) and the COSTHA Air Carrier Roundtable would like to remind the hazardous materials community that effective October 1, 2009, the new packaging requirements for transporting cylinders containing compressed oxygen and other oxidizing gases and packages of chemical oxygen generators must be placed in rigid outer packagings that meet the specified flame penetration and thermal resistance requirements when transported aboard an aircraft. 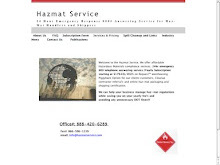 info@hazmatservice.com or see links at the top of the page. Receive Your Hazmat Contract Number with a 24 Hour Hazmat 800 and International Number for all Your Hazardous Material Shipping Today!! See Online Payment Options and subscription form at the top of the page or CLICK HERE For SUBSCRIPTION FORM. 24 Hour Hazmat 800 Number and International Shipping Number offered to freight forwarders!! Hazmat Service offers freight forwarders an 800 emergency shipping number for their clients/customers shipping Haz-Mat material for $75 per one time shipment. Offer your customers a very reasonable price to ship their Haz-Mat through your company and increase your shipments/profits. Don't pay unnecessary DOT fines because your customers Haz-Mat shipping number is not valid!!! 24 Hour 800 Number and International number supplied for this one low price! Proper Emergency Response Provider Registration To Avoid Costly D.O.T. Fines! To avoid costly D.O.T fines insure that the Emergency Response Provider (ERP) that your company is using has your company listed as a subscriber, MSDS sheets on file and that you are current and in good standing. Place Emergency Response Number (ERN) on proper shipping documents along with a contract number that has been issued by your ERP. In the event of a D.O.T. audit or spill investigation that determines your company is using an unregistered ERN fines can be imposed. The following example is from Revised October 2009 CFR49 pg. 44 section C: Listing an unauthorized emergency response telephone number on a shipping paper CFR49 section 172.604: Baseline Assessment Fine Amount: $2,600 - $4,200. CFR49 107.329 states: "when the violation is a continuing one, each day of the violation constitutes a separate offense. Transferring from another Emergency Response Provider (ERP) / Hazmat 800 Number Subscription: Remaining months on contract will be credited to new Hazmat 800 Number and Hazmat International Number subscription through Hazmat Service. See Hazmat Subscription form; in the services requested section. Hazmat Service can help haz-mat handlers and shippers satisfy D.O.T. compliance!